It's time to make some crazy money killing mutants. Have to admit, we expected Marvel: War of Heroes to dominate this week's iOS and Android release lists, but the game was surprisingly delayed. That said, other titles claimed those respective crowns. On the iPhone and iPad side, an old arcade favorite made a welcome comeback, while on Google Play, ugly mutants went on a rampage. Now imagine if both games were combined into one. How nuts would that be? All day dreaming aside, it's time to reveal the winners. 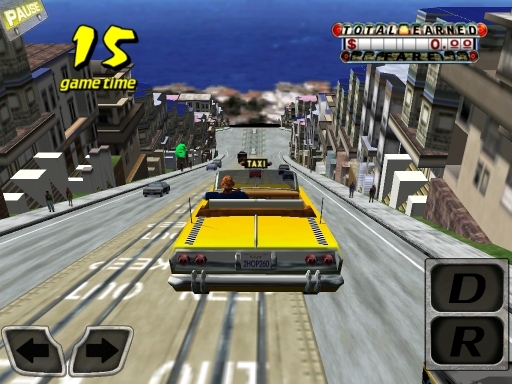 Sega's Crazy Taxi dominated arcades and the Dreamcast console more than 10 years ago. Since that time, the company ported this fast-paced and breezy favorite to just about every platform, to the point where we grew tired of seeing it. Now the game's available on iOS, and we couldn't help but fall in love all over again. Not only did the publisher manage to get the virtual controls right, but it also kept the original music from The Offspring, which it had removed in more recent iterations. Bottom line, this is the original in all its glory, minus the plastic steering wheel and foot pedals. Every iOS and Sega fan should download it and make some crazy money. Death Dome marks the third time (by our count) that Glu Mobile has used Infinity Blade's combat in its games. Turns out, it's once again the sincerest form of flattery, with brutal and blood-filled fighting, made possible by user friendly swipe/tap controls. 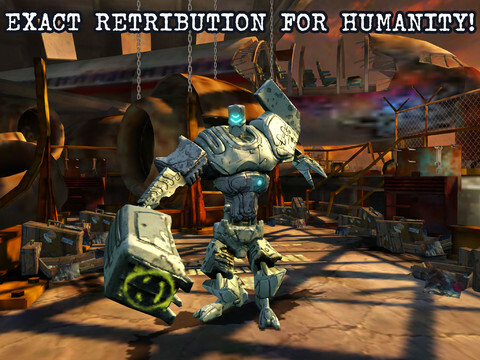 With cell-shaded graphics that pay homage to Borderlands, this stunning 3D brawler casts players as a female heroine out to pummel a variety of mutants with different attack patterns. Win, and fans gain access to a plethora of cool weapons, including a powerful bubble blower; yes, you read that correctly. The story could use a bit of oomph and more items to buy would be nice, but considering Death Dome is free-to-play, this is a great start.